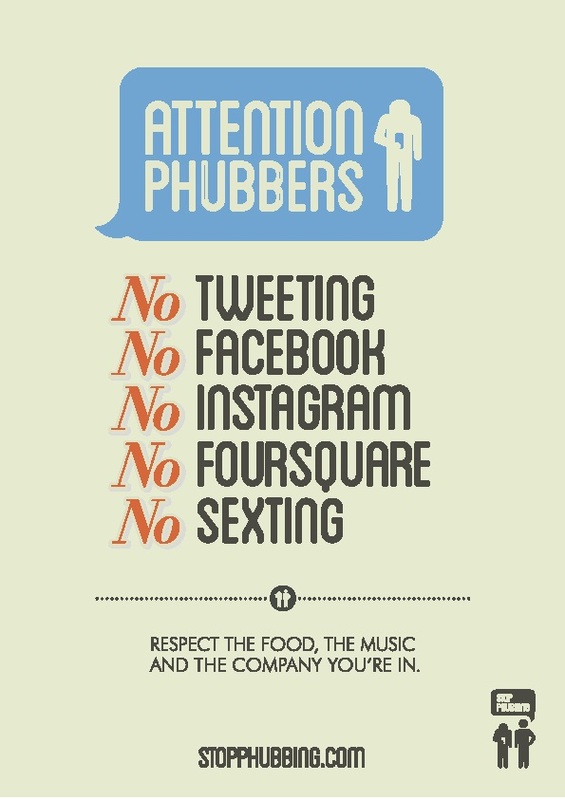 McCann Melbourne made up the word phubbing. It’s a clever but contradictory term coined by a group of lexicographers, poets and authors. You have to give these folks credit for cleverness: the ad agency has actually invented a new word: “phubbing.” “Phubbing” refers to the act of snubbing someone in a social setting by looking at your phone instead of paying attention. Unlike the majority of agency-created words, whose wide adoption is a happy accident, McCann’s new word was specifically designed to get added to the dictionary – 6th-edition Macquarie print dictionaries, to be exact. You see, the entire “phubbing” phenomenon was part of an elaborate campaign to promote Macquarie’s newest edition of print (as in physical) dictionaries. This is undoubtedly a clever attempt to highlight the importance of maintaining a current dictionary. At the same time, the very thrust of the campaign contradicts itself. If the word “phubbing” reminds you that it’s important to have an updated dictionary, doesn’t it also necessarily remind you that any physical dictionary you buy will sooner or later become outdated? Of course, physical dictionaries are far from the easiest product to sell in today’s digitally saturated marketplace. Ironically enough, the campaign doesn’t mention that it’s, well, a campaign, until the end of their video spot. This means that many potential viewers will not even catch that “phubbing” is a plug for Macquarie’s dictionaries. In the end, a lot of viewers may just look up the word on the web – hardly a way to encourage customers to go retro with a physical dictionary. 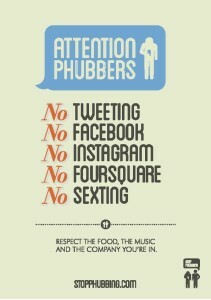 I think I am a chronic phubber. Thank for sharing this hot topic with us. Thanks for sharing this : McCann’s new word was specifically designed to get added to the dictionary – 6th-edition Macquarie print dictionaries, to be exact.